Letting go of a good housemate is a sad thing. But it happens. For a good percentage of my adult life I’ve lived in a shared housing environment–platonic and romantic–where in all cases it didn’t turn out to be a permanent solution. In this post, I’ll share my experience of what happened with the platonic shared housing experience and the reasons my home-mates moved. I met Nick after I had posted an ad at the University of California Medical School in San Francisco. It was after a break-up and I needed a home-mate fast. My tendency back then was to accept the first person who inquired about the flat and who seemed to be a good fit, but I took the advice of a friend and interviewed a few people who seemed very nice, but for whatever reason didn’t seem quite right. Along came Nick who was originally from Southern California and had just accepted a hospital administrator job at UC Med, right up the hill from where I lived. We immediately clicked and it was a done deal. Nick became a reliable, helpful, and good friend. I was pleased as punch and hoped that our shared living experience would become a long-term, platonic one. Six months after Nick moved in, he told me this was the best home-mate shared housing environment he had lived in, but as a man in his mid-30s it was time for him to get his own apartment. He made it clear it wasn’t personal, that I had given him as much equal say to how we furnished the apartment, threw parties, shared food, but he needed his own space. I won’t deny I was devastated when he told me he was moving out, but I also understood. It took me a couple of days to catch my breath, rewrite the ad, go back to the UC Med housing bulletin board, and post it again. The second time the search took longer and I was beginning to worry. Several people came to look at the flat. It all seemed positive, but many of my follow-up calls were ignored. Worry was turning into panic. I had enough money to get me through a month, but I couldn’t afford to pay the $1,100 monthly rent on my own. At one point of desperation, I called a relative with whom I had been very close to and asked if I could get a loan from her just in case I needed more time to find someone to move in. She refused. But when one door closes another one opens. I ended up with a long-term temp job that paid better, resulting in more wiggle room to find a new home-mate. Shortly after I started working at the better paying job, another Southern California native called to ask whether the flat was still available. Patrick was ten years younger than me. He was a graphic artist and web designer who worked at a start-up based in Marin County. We liked each other immediately and within a week he moved in. Although Nick and I were friends there were certain boundaries. Nick made it clear from the get-go that he liked dogs, but he didn’t want Pozor on his furniture or enter his bedroom or bathroom, which was fine and it worked out. Patrick had had no issues at all with the dog. He loved Po and often I found him lounging on Pat’s bed and hanging out while Pat worked. At some point I knew all good things come to an end. The start-up that Pat worked for was tanking because of mismanagement; jobs in San Francisco were scarce and the pay wasn’t great. In June, Pat told me he was moving back to Los Angeles. He had more connections there and could find work. Again, I was devastated because this time I had specifically asked for a year commitment. But how can you insist when jobs are in short supply? These two home sharing experiences taught me to manage my expectations. While I personally view home sharing as a viable solution to help with finances and combat loneliness, but I’m also pragmatic–not all home sharing situations will be long-term. Too many factors come into play that include finances, family, illness, and death. The second lesson is that not all shared homes are a good fit. After I moved to NYC, I shared a tiny West Village apartment woman and her two cats. No issues in personality or with the cats, but the apartment was too small for two young women. I needed room, more privacy and my dog, who was still in California with a friend. Lastly, and I believe this is the most important and common-sense one: a home-mate may ease the financial burden of rent, upkeep, and other expenses, but please don’t put all your eggs in one basket. Financially try to keep a few months ahead. 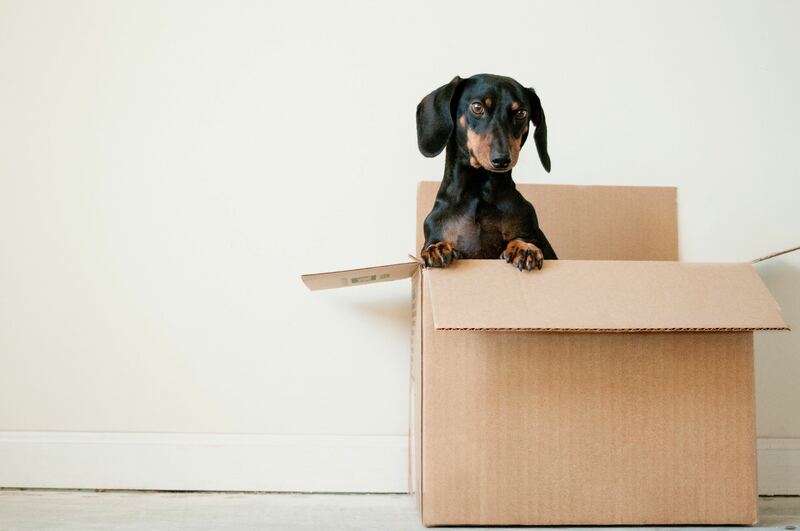 If your home-mate suddenly announces he or she is moving out, you need to have that extra financial padding to pay the bills while you find someone else. Don’t assume you can depend on the kindness of relatives (as I did), friends, a better paying job, or the lottery. Don’t squander the money you’re able to save. Whether you’re considering home-sharing as the homeowner or as the renter be smart and plan ahead. Take time to get to know your potential house-mate. Be forthright and ask if he or she is looking for lodging for six months or less or are they thinking longer term–a year or more. Always, always, have a Plan B in place so you don’t end up worrying about money and can proceed quickly to find another home-mate. Rebeca your article was enlightening. I often thought about the financial uncertainly of housemates coming and going. I live in the Southeast and although there are services in other areas of the country to help find roommates, there is nothing here. Any suggestions? Yes, it is true that housemates can be transitory. How much so depends on how one goes about selecting someone to live with. I’m advocating for people to have “home-mates” – where people settle into living with each other because together they get to live better than each alone. A home-mate is a person you like and respect whose way of living is enough compatible with yours that you are comfortable sharing a home. (as it says on the home page. It all depends on how you go about finding this person (people).